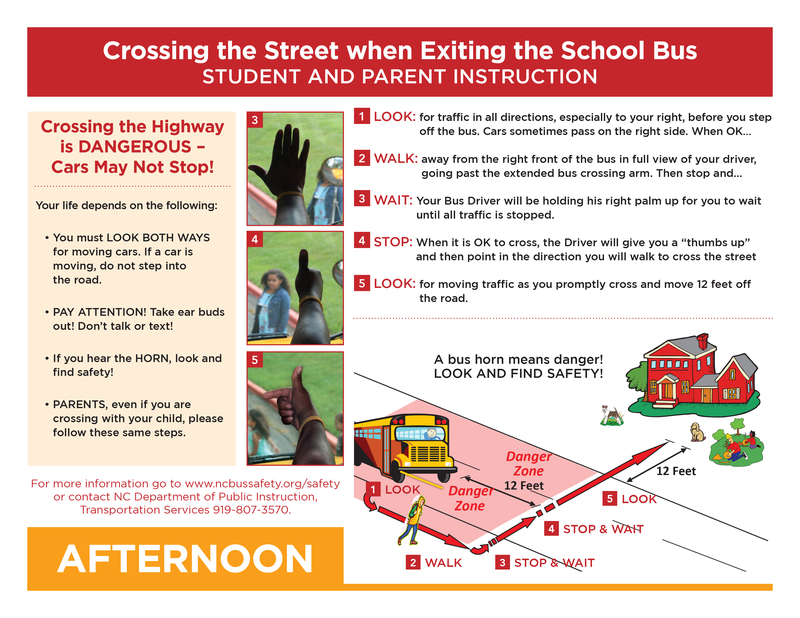 Learn how to keep your child safe on the school bus. Children should be cautioned about the danger of strangers. FRONT DANGER ZONE: It’s never safe to walk close to the front of the bus. Children should walk five GIANT steps ahead of the bus before crossing in front of it. SIDE DANGER ZONE: Children should always stay three GIANT steps away from the side of the bus. REAR DANGER ZONE: NEVER walk behind the school bus. Walk (don’t run) three GIANT steps away from the bus when getting off. When the bus approaches, step back from the curb at least three GIANT steps. 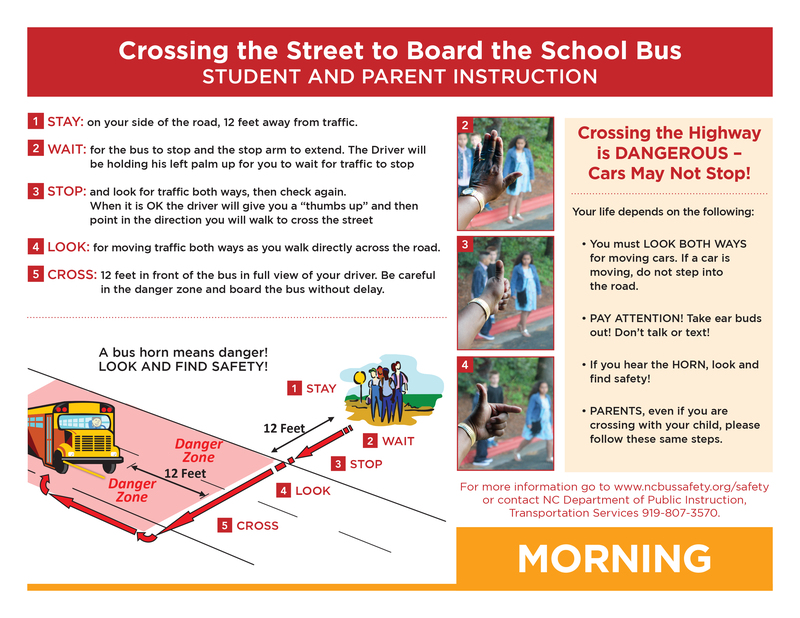 Make sure you can see the bus driver’s eyes when boarding or crossing in front of the bus. If you drop something under or near the bus, DON’T pick it up until you tell the bus driver. Otherwise, the driver may not see you. If you leave something on the bus, DON’T run after the bus to get it.